Whom should you trust for advice about learning Chinese? 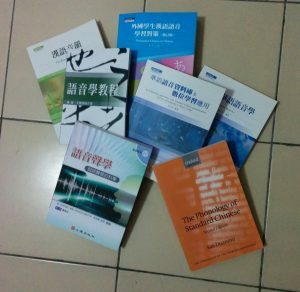 I have written roughly six hundred articles about learning and teaching Chinese, most of them focusing on how to learn rather than what to learn. 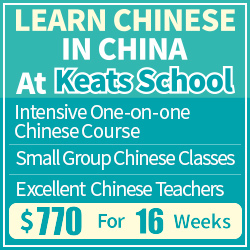 I have also taught university courses, held lectures and workshops focusing on how to learn and teach Chinese as a second language. A reasonable question to ask is where the knowledge behind those articles, courses and workshops comes from. Or, in other words, why would you want to listen to what I have to say? Some things, such as providing inspiration and motivation, don’t really need to be backed up to be valuable, but what about the rest of it? If I say that approach A is better than approach B, why should you take my word for it? 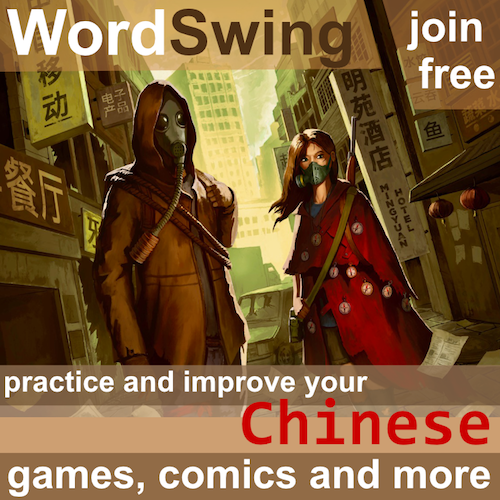 This is a follow-up to last week’s article where I discussed if reading Hacking Chinese will help you learn Mandarin. The answer I gave in that article was that it will, but not automatically or in and of itself. If you agree with me that learning how to learn can be valuable, the next question to ask should be how to do that, which is the focus of this article. What is knowledge? Where does it come from? When trying to improve the way you learn Chinese, the kind of knowledge you want is generally what works best to achieve your goals. If you want to solve problem A, would you be better off using method X, Y or Z? This question looks deceptively simple, but it’s actually very complicated. Ideally, there would be a well-established theoretical framework for how adults learn languages, supported by rigorous experimental studies, replicated and tested over a wide variety of contexts. Sadly, we’re nowhere near achieving that. There are many competing frameworks based on wildly different basic tenets, and there will probably never be enough research to arrive at one single model. There is simply no way that scientific research can answer the question what works best for all combinations of these parameters (and there are many more). Often, you can find some research that match some of your own parameters, but unless you experiment on yourself, there will always be some differences. Another problem with research into second language acquisition is that the sample sizes for most experiments are too small, often just a dozen students or so, mostly selected from a narrow group of undergraduate students. A single study showing that method X is better than Y and Z for solving problem A with only 12 participants is not very conclusive. It’s better than nothing, but it’s definitely not conclusive. This is not the fault of the researchers themselves, of course. 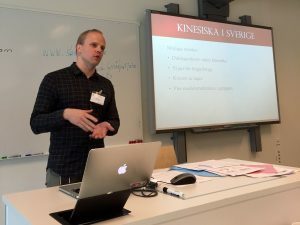 While I don’t do much academic research nowadays, I have done several studies and I know how difficult it is to find participants when you have no money to spend and you need people to participate for longer than 15 minutes, not to mention longitudinal studies across the several years it takes to learn a language. People who spend their lives conducting research into second language acquisition are not only after answering specific questions matching a certain combinations of parameter settings, they also want to contribute to our general understanding of how learning languages work. However, like I said, overreaching theories of language learning can seldom be proved experimentally, which is why we have numerous different approaches that all claim to be the right way of doing it and who all claim to have scientific support. They might, but it’s not hard to find research that conflicts with the research cited. This doesn’t mean that we collectively don’t know anything about language learning and that the scientific method is useless for obtaining such knowledge. While there are of course ongoing debates on how language should be learnt and taught, most methods being promulgated today (albeit not always practised in classrooms) are much better at achieving the goals we set when learning a foreign language compared to a generation or two ago. There are also many areas where findings with one set of parameters can be reasonably extrapolated to other areas. We are all humans after all, and we carry around brains that are essentially the same. For example, vocabulary acquisition has been thoroughly researched and there are many general truths here that are likely to apply to a lot of situations that were not explicitly tested. It’s reasonable to believe that remembering what a spoken word means is similar in English and Mandarin, for example, even if there might be differences in writing. I have a series of articles planned focusing on vocabulary, so I will return to this topic later. I would also like to say something about learning Chinese as a second language. This is a field which is young compared to, say, learning English as a second language. That means that most of the research you will find for various topics is not actually about learning Chinese, but learning some other language. If studies have been conducted focusing on Chinese, they are usually very limited. If this is about general things such as memory, it might be okay, but learning Chinese is qualitatively different from learning a language similar to your own. 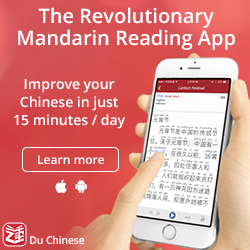 Learning to read in Chinese is very different from learning how to read French for a native speaker of English. 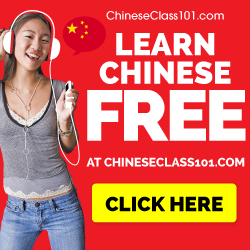 What all this means is that if you require any advice about learning Chinese to be corroborated by scientific research, you will not find any advice at all because there will always be something that makes your situation different, and it can be claimed that the research is not valid for you. The best I can do is to offer advice that is in line with research into language acquisition whenever possible. This doesn’t mean it’s directly supported by experimental research, but it means that it follows the principles that have been derived from such research and that are likely to apply to your situation too. Some of the references I normally consult about phonetics and phonology. I have accumulated roughly seven years of full-time academic credits related to language teaching, including psychology, educational science, teaching courses for both Chinese and English, whereof two years were at post-graduate level and done entirely in Chinese in a program mostly for native speakers. While I don’t always make that explicit, the advice I offer is in line with what I’ve learnt throughout this process. I should probably make this more explicit, but more about that later! Apart from scientific research, knowledge can also be derived from experience. This basically means that I think that I know something about how to learn Chinese because I’ve learnt it. I probably have some general things in common with you that makes my experience relevant, such as starting to learn as an adult and being a native speaker of a language completely unrelated to Chinese. We may have more things in common, but those two should be true for most readers of Hacking Chinese. I’m going to use the analogy of climbing a mountain to illustrate why my advice can be valuable to you. My educational background, which includes familiarising myself with research into second language acquisition, would mean that I have a good general grasp of how people climb mountains. There are many cases and situations I don’t know about, but I do know a lot about various approaches that have been explored. The most important part, though, is that I can tell you how to climb the mountain because I have done it myself. Of course, I’m not the only one who succeeded, but I am a person who is willing share my experience with you. Considering that many people who try to climb the mountain don’t succeed, it seems reasonable to ask people who have done so for advice. This is also a good opportunity to illustrated the difference between native speakers of Chinese and non-native speakers like myself. They know the mountain very well, but they don’t know what it’s like climbing it. They learnt most of that naturally when they grew up and are thus very good at telling you about the mountain, but not very good at telling you how you should go about climbing it. Secondary experience about climbing the mountain – I’ve discussed learning Chinese with a large number of people, including students of all proficiency levels (most importantly many people who also succeeded in climbing the mountain), teachers, native speakers, non-native speakers and so on. This has influenced my own thoughts about how to best climb the mountain. Experience gained from helping others climb the mountain – I’ve been teaching Chinese in various forms and situations from many years. This means that I have been able to observe hundreds of students learning Chinese, using a combination of their own ideas, ways dictated by curricula, as well as advice from me. This website is not meant to be a scientific journal about how to learn Chinese. What I present here is an aggregate of everything I have learnt about learning and teaching Chinese. This includes all that I have mentioned above: research, experience, second hand experience, teaching and so on. I give you an aggregate of all this, which can make it look opaque, but is on the other hand fairly easy to digest and enjoyable to write. I don’t highlight that these are my own musings, thoughts and conclusions in every sentence or paragraph of every article. All articles on this site are written by me, except for a handful of guest posts which are clearly marked as such. It should be clear that things I write on my site represent my own thoughts and opinions. Perhaps I ought to remind readers of that more often, which is partly why I write this article. For people who aren’t me, I suggest that you do the same. Learn something about them, check out their advice for learning and try it out. Where does their knowledge come from? Does it seem reasonable that they can help you in your current situation? Then follow their advice! Like the previous article discussing the merits of learning how to learn, this post was inspired by a discussion thread on Chinese Forums. The question as I see it is two-fold. First, is learning about how to learn helpful? I gave my answer to that question in the previous article. Second, is the advice given useful, and if so, how do you know? This is what I have attempted to answer in this post. Looking ahead, I’d like to know what you think about all this. While Hacking Chinese will never turn into a research journal, I could make an effort to support the thought process leading up to a certain piece of advice by providing additional references and further reading at the end. I know that most readers won’t look at those, but it could be a valuable service for those who want to know more or want to delve deeper. What do you think? I’m interested in what you think not only about that specific question, but the topic in general. I know there’s been a lot of introspection lately, and these articles are completely useless for learning Chinese, but I do think they are important. I want to be honest regarding where my knowledge comes from so that you know if you should heed my advice or not. That’s a good point! I think it varies between countries and institutions a bit, but this attitude is common in many university programs. The university I started learning Chinese at has a very practical approach because they’re teaching engineering and business students who will go abroad and study in Chinese. That’s a very practical goal where communication skills is all that matters. No-one cares if you know classical Chinese if you can’t understand the lecturer or the questions on the exam. Many other universities, though, introduces classical Chinese early on, which has always seemed odd to me. At least in Sweden, studying Chinese and studying China (including politics, culture, history and so on) have always been intertwined, almost one subject. This is not the case for other combinations of countries/languages to the same extent. I’m not saying it’s bad to study (big) culture, history or classical Chinese, but I am agreeing with you that putting a lot of emphasis on that early on when the student just wants to be able to talk with people.